I can tell from experience that building and running a business is one of the most stressful activities that a person can do in his life. It was hard, but I survived. I learnt that being under stress is just part of the process of being a founder. I decided to write this post to explain how I successfully managed to cope with stress. When I was building my first company, managing stress was one of my biggest problems. I was in a completely new environment. I had to create processes for the new company, find clients, manage my first employees, and all this while constantly checking the cash flow. For the first time, I didn’t have any colleague or boss to share my state of mind. I was out of my comfort zone, and I was struggling. From a theoretical point of view, stress is the reaction of the body to external forces that can harm our body and mind by changing our normal psychological and physical equilibrium (homeostasis). Stress has always existed. It constitutes the alarm bell saying that something is not working properly, and one has to react by changing something. Many people think that stress only comes from external aggressions, but external stimulus is not enough alone to trigger stress. To feel stress one also needs to be perceptive to that kind of aggression, meaning that one needs the simultaneous presence of a triggering situation and a stress-favorable mindset. Imagine the case where a colleague offends you in public (psychological stress). This situation can certainly be stressful for some individuals. Some other people, however, would be totally unaffected by the situation. That is because being offended does not trigger their stress system. 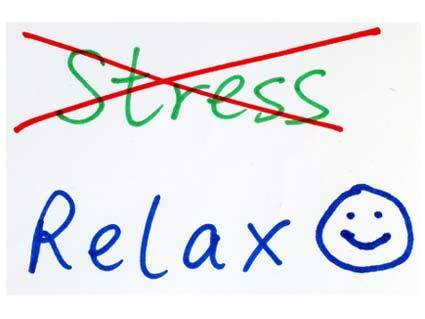 To avoid stress, one can address either of these two parts of the equation. The first is to avoid the situation that triggers stress. The second option is to work on your aptitude to manage the situation. Of course, this second option is the most successful long term. However, it is also the most difficult to put in place. Furthermore, there is no one-way to do it; everyone has to find his or her unique tools. Detect the situations that trigger stress. In my case it was the fear of failing. I had invested all savings in my first business. Everybody around me was counting on my skills to make it work. The fact that I didn’t have yet any major failure in my life made it even more difficult to deal with the fear of failing. Understand what kind of stress is generated. In my case I was feeling too anxious. Thinking too much on the possibility of failure was making me slow down from doing my job properly. Thinking about this was, of course, amplifying the chances of failure and was generating even more stress as time passed. Understand why our mind is sensitive to that situation. In my case it was because my brain was set to put too much importance to what other people thought of me. I was afraid of what they might have thought of me in case I failed. Once you have figured the situation that triggers your stress it comes the most difficult part: You have to solve the problem. One should work on his or her state-of-mind trying to change its perception of the situation that triggers stress. In my case I had to work on understanding that life would have been good even if I had failed. I eventually understood that every successful person went through failure at a certain moment in his life. Failure was not a bad thing at all. It is through failure that we learn the most. It is a chance to innovate and move on. So, if you want to be an entrepreneur, be ready to fail someday. I personally know a few very successful entrepreneurs that failed with their first businesses. Their long-term motivation made them overcome those difficulties. In many ways, being an entrepreneur is much like the soccer player that shoots on goal with a success rate of 10%. But just like the soccer player who misses all the goals he doesn’t try to score, entrepreneurs are going to fail at the every business they didn’t start. Use these tips to help manage stress and make your company the success you always knew it could be.